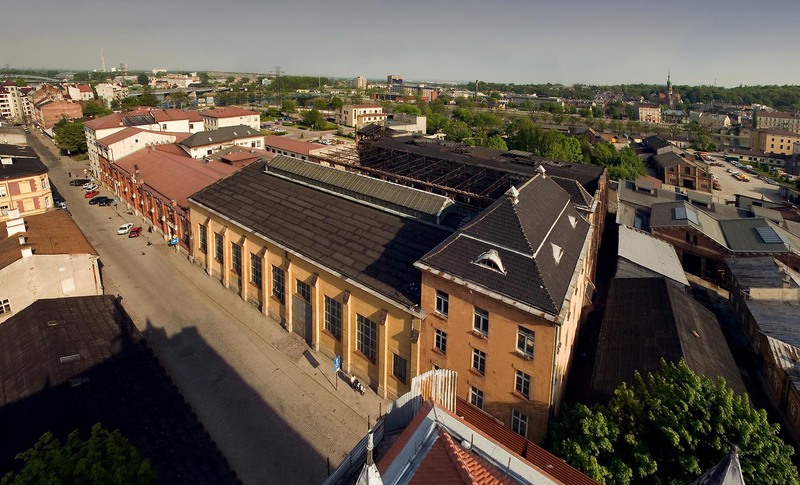 The site at Wawrzynca Street lies on the outskirts of Krakow’s old city in the heart of the Kazimierz district, the historic Jewish quarter of the city. BMA had to comply with the design restraints of the central city and its UNESCO recognized historic significance. 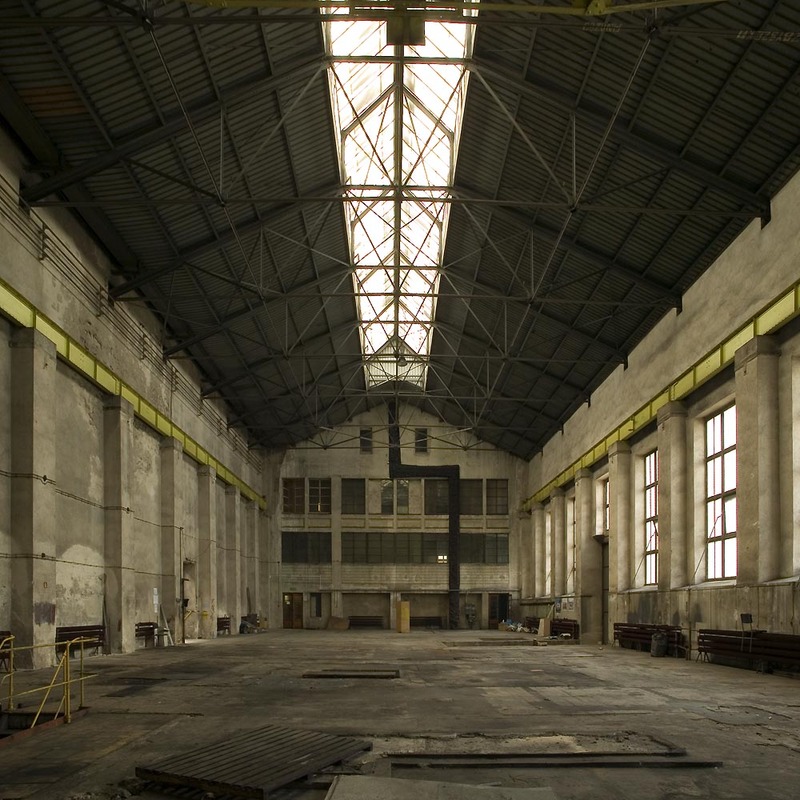 The complex is the former Krakow Municipal Power Plant and comprises of a number of existing structures, built over a fifty year period. BMA developed the master plan consisting of hotel and residential mixed use development in order to fill a large void in the expanding economy of Krakow. 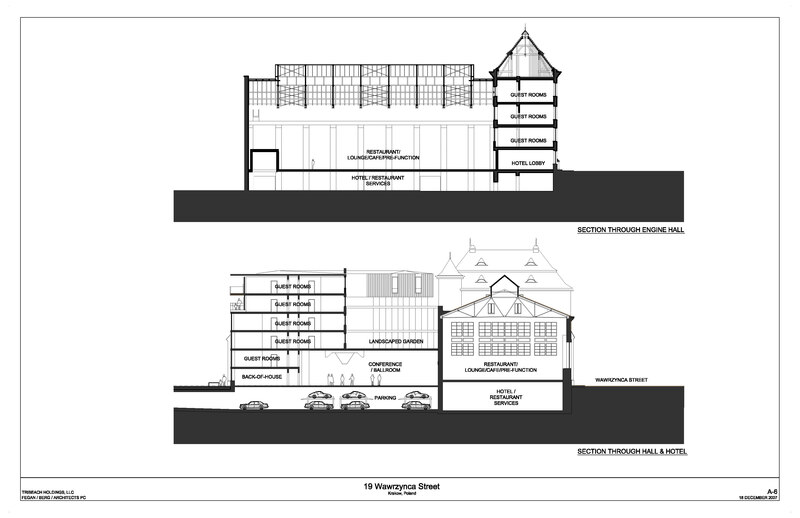 With 118 rooms, the hotel will cater to the discerning needs of today’s tourist and business traveler while offering a unique historic setting and experience that complement the existing architecture. BMA used the existing building fabric to its optimum potential. 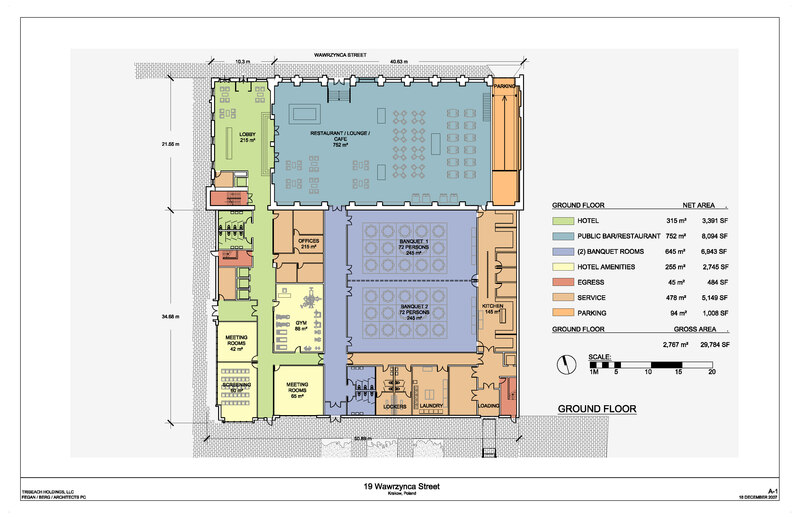 The massive engine room will house a restaurant and cafe and accompany the multi-function banquet hall. On-site garage parking, unique to this area of Krakow, will be housed in the cellar. Developed in tandem with the hotel, will be a residential building to the south. It will feature below grade parking, public and private gardens, and will share on-site amenities with the hotel such as the fitness center and concierge services.